Volvo says it will accept full liability for accidents involving its driverless cars, making it "one of the first" car companies to do so. It joins Google, which has made similar claims. Volvo says it is trying to expedite regulation in the US, where "a patchwork" of rules is holding back the industry. Uncertainty over liability for a driverless car crash is seen as one of the biggest barriers to adoption. Why is Volvo doing this? In a speech in Washington DC on Thursday, the president of Volvo Cars, Hakan Samuelsson, said that the US is currently "the most progressive country in the world in autonomous driving". However, he believes it "risks losing its leading position" because of the lack of Federal guidelines for the "testing and certification" of autonomous vehicles. Instead, car makers face inconsistent rules from state to state, which makes it harder to roll out their technology. For instance, only a handful of US states such as California and Nevada allow the testing of autonomous vehicles on public roads - and even then rules around certification vary. Regulation is also slowed by unanswered ethical and legal concerns, particularly when it comes to liability for driverless car accidents. And the situation is "even worse" in Europe, according to Volvo's chief technical officer, Erik Coelingh. Why is the issue of liability so important? As with any new form of technology, it is important to get the regulation governing its implementation right. Mr Coelingh told the BBC: "Everybody is aware of the fact that driverless technology will never be perfect - one day there will be an accident. "So the question becomes who is responsible and we think it's unrealistic to put that responsibility on our customers." But Ben Gardener, a solicitor at Pinsent Masons, believes Volvo's guarantee is aimed at reducing uncertainty in the minds of governments and regulators. "Volvo wants to remove the uncertainty of who would be responsible in the event of a crash. At the moment it could be the manufacturer of the technology, the driver, a maker of a component in a car." Volvo also told the BBC it would only accept liability for an accident if it was the result of a flaw in the car's design. "If the customer used the technology in an inappropriate way then the user is still liable," said Mr Coelingh. "Likewise if a third party vehicle causes the crash, then it would be liable." 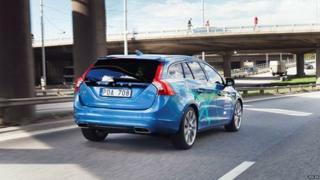 Prof Sandor Veres, director of autonomous systems at Sheffield University, told the BBC: "This bold move by Volvo can pave the way for global legislation, as if other manufacturers take similar undertakings then legislation can be made simple." But Mr Gardener said the move would not get around underlying safety concerns about driverless cars. While manufacturers claim autonomous vehicles could eventually improve road safety, a number have been involved in accidents involving such cars during tests. "There's not much value in a manufacturer saying we'll be responsible for thousands of accidents but then there being thousands of accidents each year," said Mr Gardener. He said it was also unclear whether automatically holding manufacturers liable would stand up in court - at least in the UK. "In this country, the party causing an accident is responsible once all of the circumstances of the particular case have been examined," he said. "But moving to a strict manufacturer liability approach would remove the need to consider who is responsible for the collision. This is something not currently recognised in the UK approach to liability." When will we see driverless cars on our roads? In truth, we are only likely to see widespread use of driverless technology when such grey areas are resolved. But according to some, that could be sooner than previously expected. At the Frankfurt Auto show last month, US secretary of transportation Anthony Foxx said he expects driverless cars to be in use all over the world in 10 years. Tesla founder Elon Musk has predicted his firm will have approval for its automated vehicles as early as 2019. And many other manufacturers plan to launch driverless cars in the near future, including Toyota which on Wednesday said it expected to be selling such vehicles by 2020.